The Dermaroller is a medical device used in micro needling to break down old scar tissue & to stimulate skin cells to proliferate. This cell multiplication results in the formation of new tissue layers of elastin and collagen fibres (neo-collagenesis) as well as in new capillaries for an improved blood supply (neo-angiogenesis). The procedure is also called Scar Reduction Therapy (SRT) & Collagen Induction Therapy (CIT). In contrast to all ablative techniques like Lasers and Fractional Laser treatments, the Dermaroller stimulates new tissue formation – it acts constructively and the skin remains intact. The skin does not get damaged (unlike other needling devices) and therefore will not go into a wound healing response. 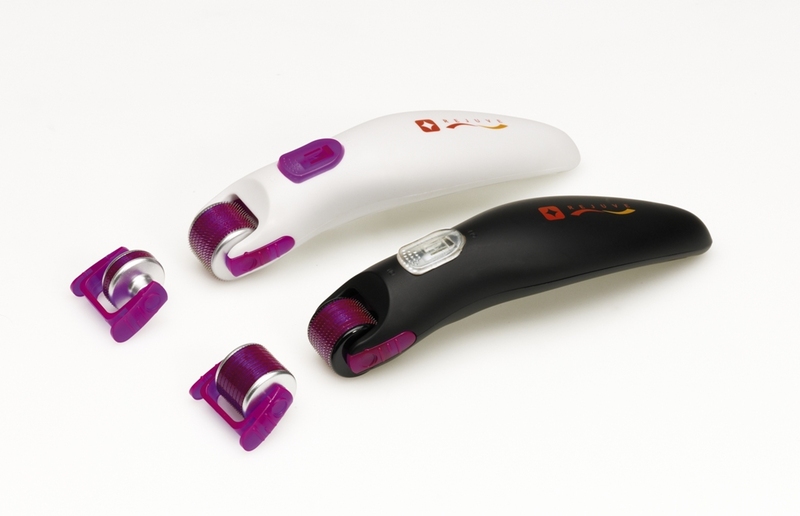 The Dermaroller significantly improves atrophic scars & improves skin texture. The Dermaroller is a cylindrical shaped drum studded with very fine needles. It is a medical device used in micro needling to break down old scar tissue & to stimulate skin cells to proliferate. What is the difference between Dermaroller and other skin rejuvenation techniques? In contrast to all ablative techniques like Lasers and Fractional Laser treatments, the Dermaroller stimulates new tissue formation – it acts constructively and the skin remains intact. The skin does not get damaged (unlike other needling devices) and therefore will not go into a wound healing response. 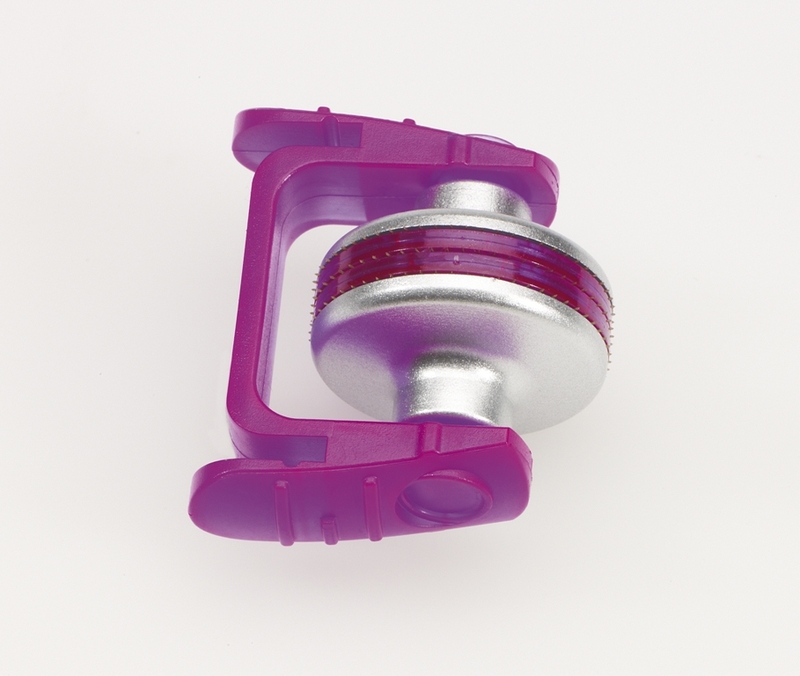 The Dermaroller significantly improves atrophic scars & improves skin texture. How is the Dermaroller procedure performed & does it hurt? The skin is cleaned and afterwards numbed with an appropriate numbing cream so it should not hurt at all. Skin is thoroughly needled in such a way, that each skin part is needled about 15 to 20 times. An even flushing is the best indication for a perfect medical performance. Can the Dermaroller be performed on any skin colour? Since Dermaroller does not use thermal heat (unlike IPL & Lasers) it is safe to use on all skin types and all skin colours. There is no risk of post-inflammatory hyper-pigmentation. How often can the Dermaroller procedure be repeated? For Collagen Induction Therapy we recommend to start with 3 treatments, but with a minimum separation time of 6 to 8 weeks between treatments. For Scar Reduction Therapy an average of 3 to 5 treatments are recommended, with an improvement of 70-80%. Unlike ablative procedures for facial skin only, the Dermaroller can be used on all skin parts of the body. What are the side effects of a Dermaroller procedure? There are virtually no negative side effects, and none have ever been reported in over 150,000 procedures performed worldwide. What should I avoid on my skin? To ensure the right healing environment, for 2-3 days DO NOT use AHA’s (Glycolic Acid), Retinol, acidic or “active” ingredients. Does the Dermaroller have the same effect like Fractional Laser Therapy? YES! But the mechanism of action of a Fractional Laser is totally different. The laser beam sets a burn wound that results in necrosis. After an inflammatory process the necrosis transforms into fibrotic tissue in forms of micro scars. Nerve cells are “melted” by the hot laser beam. But overall, as reported in clinical trials and besides costly investment in lasers, both therapies have about the same results for facial treatments.